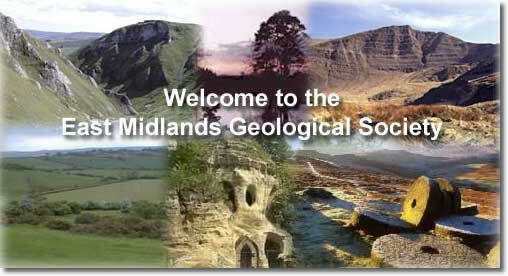 The society was formed in 1964 by a group of both professional and amateur enthusiasts, who recognised the need for such a group in this area of great geological interest. This mix of people from all backgrounds has remained a feature of the society to this day, and gives it a friendly relaxed atmosphere which appeals to newcomers. When it comes to administration the society is in the hands of an elected Council, who pride themselves on their professional standards and record of success. Whilst the main thrust of the society's activities is aimed at furthering interest in geology, the social side is not forgotten and each year there is an annual dinner, cheese and wine party, plus other social events at the discretion of the Council. Historically the society has held most of its indoor meetings in the same building at Nottingham University. We remain indebted to the University for allowing the use of the building. The society is open to all, and has a much less regional approach than many 'local' societies; so wherever you live, come and join us!